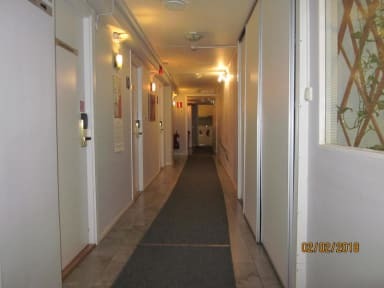 At our hostel on S:t Persgatan we have 52 beds in 21 different rooms. We're only 6 minutes way from Uppsala Central Station.Kungsgatan (the main street) is just around the corner. The shopping street Dragarbrunnsgatan, the lively Svartbäcksgatan, the main square and the beautiful Fyris River is only two minutes walk from the hostel. All the most important historical attractions such as Uppsala Cathedral, the Castle, museums, the Botanical Gardens and much else is close by. All cafés, pubs, restaurants and Uppsala's famous night life is nearby. St. Per's Shopping Mall is 100 meters away. We have five room types. Stay cheaply in our women's or men's dormitories, or choose a room with up to four beds. Our showers and toilets are separate from the rooms and all guests have access to these. None of our rooms have their own shower or toilet. At the reception you can borrow a hair-dryer, an iron and an iron board, a deck of cards, etc. We serve breakfast at the hostel for 55 SEK per person per night. We do not have any parking lots that belong to the hostel, but there are plenty of car parks close by. Our goal is to keep a high cleanliness standard and we want to make sure our guests sleep in fresh new bed linen. These can be rented for 60 SEK from the hostel and 20 SEK for towels. You are also welcome to bring your own clean bed linen. Sleeping bags are not allowed. This hostel has it all, loved this hostel. Piping hot water, security excellent, fully equipped kitchen, perfect for families and travellers, man nice who was in charge (sorry do not know his name), must stay hostel for all ages, will definitely be back here. Thanks Bernice (62) from Belfast. 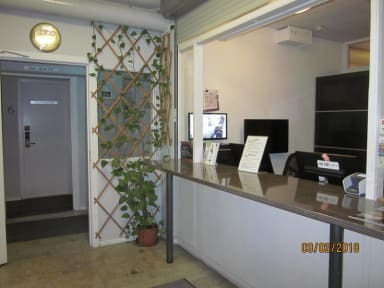 Great place, clean, quiet, staff is nice and helpful! Recommended!! Nice hostel with good facilities (washingmachine was nice). We stayed in a 4 bed female dorm, which was fine, good beds, windows for fresh air, lockers and a litle table. Kitchen was fully equiped. The breakfast seemd nice but we bought our own. The atmosphere however wasn't that great, but we were in low season so that might explain it. There was a strange old man who appeared to be living there, who had his own kitchencabinet. We didnt stay in the same room and he was quit nice so whatever. Solid place to sleep, not much atmosphere to meet people. There was no ambiance to the hostel; many hostels are known for being "hang out" spots for travelers - this one is not one of them. This is a good option for travelers who are there just for the night and aren't looking to connect with others. The atmosphere is dead. This seems like more of a hostel for older families on a budget. The service is also sub-par. I have to wait for about 20 minutes to be checked in because there was no one at the front desk.